You know you like what you see here! You know you want what you see! So what are you waiting for get on shopping now. These cool Yellow punjabi tees don’t wait for none, they sell out fast. If you don’t buy them now you’ll be furious. THESE COOL Yellow PUNJABI T SHIRTS WILL GET YOU DO BHANGDA! ESPECIALLY IF YOUR ARE A TRUE PUNJABI! We are not even bragging! If you know Bewakoof and what we do you already know what a fun collection of men’s t shirts and women’s Yellow t shirts we’ve got in store for you. That’s probably why you’re here in the 1st place, isn’t it? 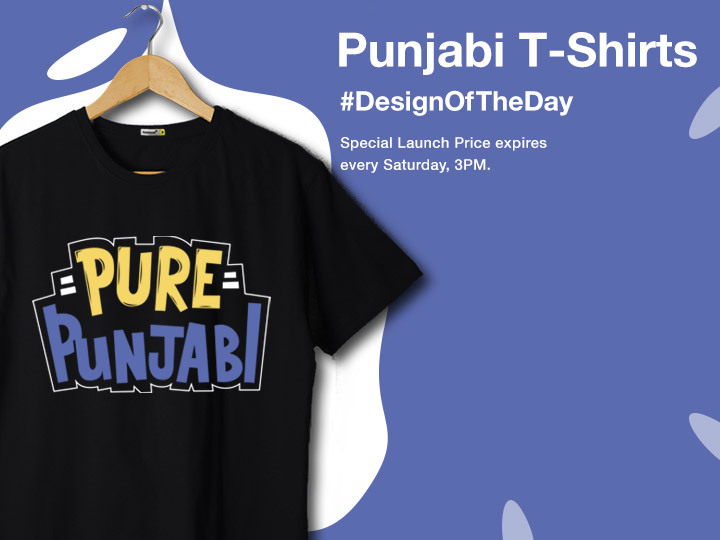 OurYellow punjabi graphic t shirts are so on point that they would literally tickle your funny bones and you would definitely burt out in laughter. Some of them might just get you emotional, digging down memories of good times from the yesteryears. Styling all our t shirts including our regional t shirts like Yellow marathi t shirts, Yellow bengali t shirts and punjabi t shirts is no big feet!